The amazing Matt Bissonette is the featured Electric Bassist of Trilian. Growing up with his drummer brother Gregg in Detroit Michigan, Matt played in "Motown" with The Kingston trio, The Ink Spots, and many different jazz groups and big bands as well as local bar bands and original bands. In college, Matt was part of the renown North Texas State Jazz Band, and was recruited to tour and record with trumpeter Maynard Ferguson. 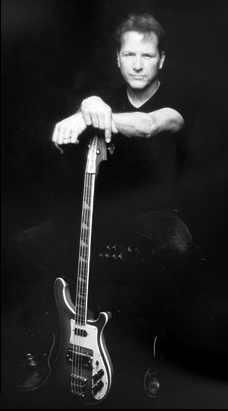 After moving to LA, Bissonette's reputation as a versatile performer led to working and recording with many different artists including: Joe Satriani, Ringo Starr, Boz Skaggs, Brian Wilson, Gino Vanellli, Julian Lennon, Steve Perry, David Lee Roth, Don Henley, Christopher Cross, The Captain and Tenille, ELO with Jeff Lyne, Rick Springfield, Peter Frampton, Johnny Mathis, Phyllis Diller, Sheena Easton, Jeff Lorber, Dave Koz, The Michael Thompson band, Kombo, Takashi Utsunomiya - as well as his own bands A440 and The Mustard Seeds. Matt's work can also be heard on numerous hit TV shows including "Friends", "The Tracey Ullman show", "Just Shoot Me" and many others.